The Rug Man are fully Trained and Accredited Carpet Cleaning Technician, cleaning all fibres including wool, blends, synthetic and more. The Rug Man are an expert in all aspects of Rug Cleaning, Carpet Cleaning, Upholstery Cleaning and Fabric Cleaning. We have cleaned thousands of carpets and have made our customers very happy indeed in our 30+ years of existence. In fact, most of our business over the years has been from customer referrals which makes us very happy too! Once you make us the initial call, we’ll decide on a time and day that suits your schedule and we will arrive promptly on the decided time. We will offer you a firm quote after we do a thorough inspection of the fabric that has to be cleaned, we’ll also explain the cleaning process to you and we will answer any questions that you may have. 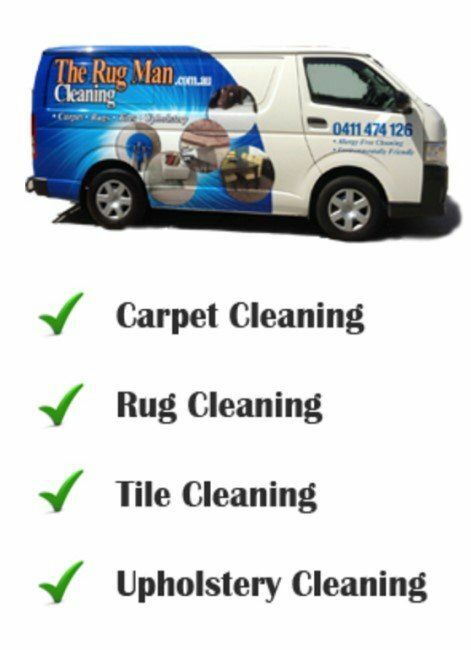 Give us a call now at 0411 474 126 to get your carpet cleaned by us.